LOS ANGELES (Reuters) - The fire that devastated Notre-Dame Cathedral in Paris on Monday prompted fund-raising appeals in the United States, as people horrified by the blaze began making commitments to restore a global landmark even before the flames were extinguished. French President Emmanuel Macron said an international campaign would be launched to raise funds for the rebuilding of Notre-Dame Cathedral. "Notre-Dame is obviously an architectural marvel and most certainly a monument that should be restored," Jennifer Herlein, the executive director of the society, said by phone. Herlein could not immediately say how much her organisation had raised for Notre-Dame on Monday. Eventually, the funds raised will go directly to the cathedral, she said. The organisation, which was founded in 1982, gave two grants last year totalling more than $430,000 for restoration projects at France's national library, she said. "In the coming hours we'll be working with the authorities to find the best way of making sure funds get to the place where they will do the most good," Coventry said. Some of the Go Fund Me campaigns had not listed any money raised by late Monday, and several joke campaigns were created through Go Fund Me to help Quasimodo, the fictional character in Victor Hugo's 19th century novel "The Hunchback of Notre-Dame." "I think the challenge will be whether or not people who give the money agree with those who are doing the rebuilding about how the cathedral should be rebuilt," said Lisa Bitel, a professor of religion and history at the University of Southern California. "This is a national monument in France and they will not spare money to rebuild," Bitel said. "I don't think the Americans will get much of a say in how to do it." In 2017, Michel Picaud, president of Friends of Notre-Dame De Paris, told the New York Times his group planned to organise gala dinners, concerts and other events to raise funds in France and the United States for restoration work at the cathedral. Why do you see this? 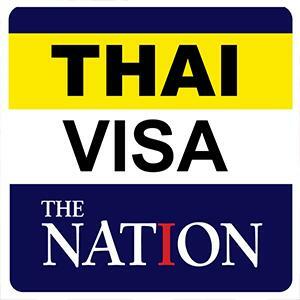 While you wait, why not listening to ThaiVisa Radio?